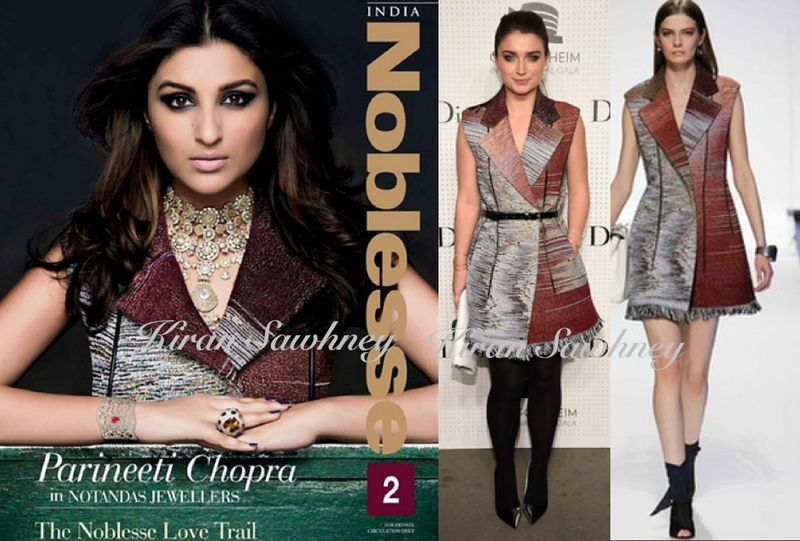 Parineeti Chopra is on the cover page of the magazine Noblesse. She is wearing Dior dress from the Resort 2015 Collection. Her jewelry is by Mahesh Notandas. Eve Hewson has worn the same cotton tweed sleeveless dress. She had paired hers with white Dior clutch, Dior tribal earrings and Dior shoes.